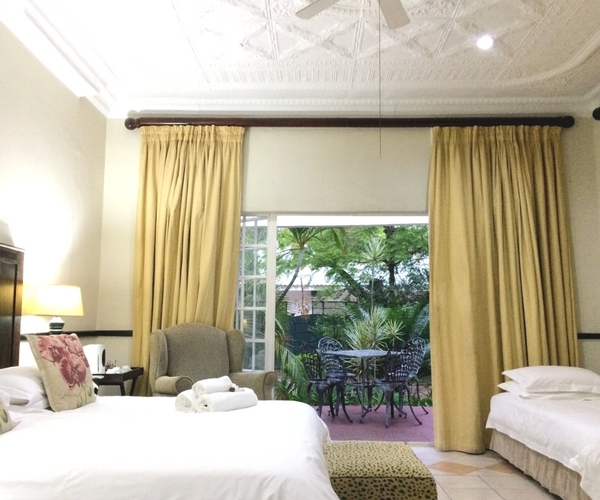 Polokwane Place guest house offers luxury accommodation in the heart of Polokwane. Expect a warm welcome, excellent service, beautiful surroundings and unforgettable hospitality. 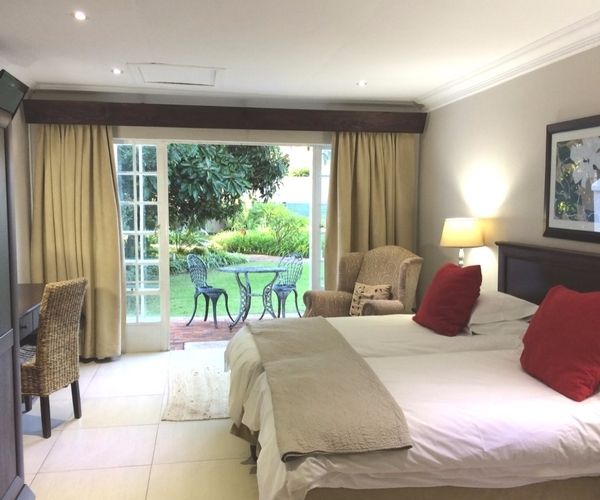 Located in a leafy suburb in close proximity to Polokwane town centre, this Polokwane guest house features an expansive property with fully-serviced accommodation and conference facilities. We offer the best accommodation in Polokwane, with amenities that include 25 well-apportioned rooms, two swimming pools, a lapa lounge and a fully-equipped conference venue, all set within a tranquil, lush garden, only a few minutes’ walk from private hospitals in Polokwane. Besides our great facilities, what really sets Polokwane Place apart from other Polokwane accommodation establishments and hotels is our friendly and attentive staff for whom client satisfaction is a way of life. So when in Polokwane, whether travelling for business or leisure, choose Polokwane Place. We look forward to providing you with the best Polokwane accommodation & conferencing experience imaginable. 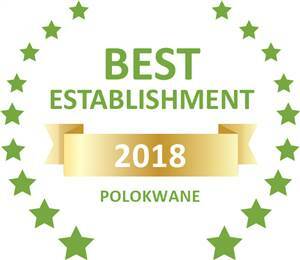 Based on reviews of establishments, Polokwane Place has been voted Best Establishment in Polokwane for 2018. Polokwane Place guest house features well-equipped rooms that provide affordable yet comfortable accommodation in Polokwane, perfect for the discerning business and leisure traveller. Guests can choose between Standard, Luxury and Executive rooms. All guest house rooms feature en-suite bathroom facilities, satellite television, Wi-Fi internet, air-conditioning or equivalent, tea & coffee making facilities, and workstations. Our Luxury and Executive rooms have their own private patios that open onto the tranquil garden. Polokwane Place has twenty-five en-suite bedrooms split into single rooms, double/twin rooms, and family rooms. Guests enjoy accommodation with secure off-street parking. Besides the many on-site amenities of this popular Polokwane guest house, there are also numerous other activities nearby. Moreover, due of its close proximity to private and public hospitals, Polokwane Place is the ideally suited to provide accommodation to family members and visitors of patients. Clean and comfortable rooms. Warm hospitality. Great food. Accommodation rates are per room per night, depending on occupancy and are inclusive of 14% VAT. Meals can be ordered separately. 10% discount applies to stays of 2 or more nights on a Friday, Saturday and/or Sunday. Did you know? 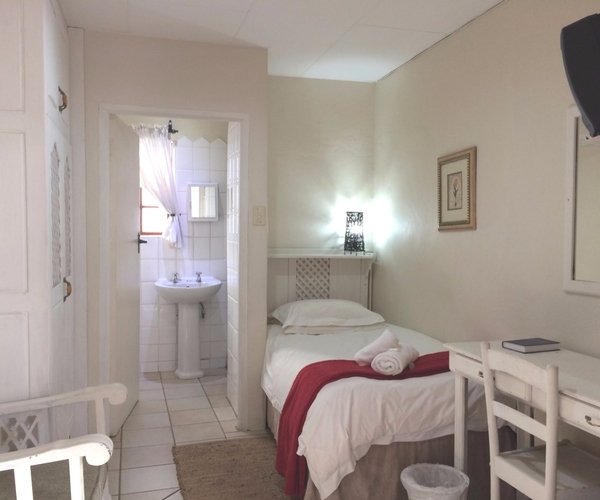 ‘Polokwane’ means ‘Place of Peace’… just like our guest house. 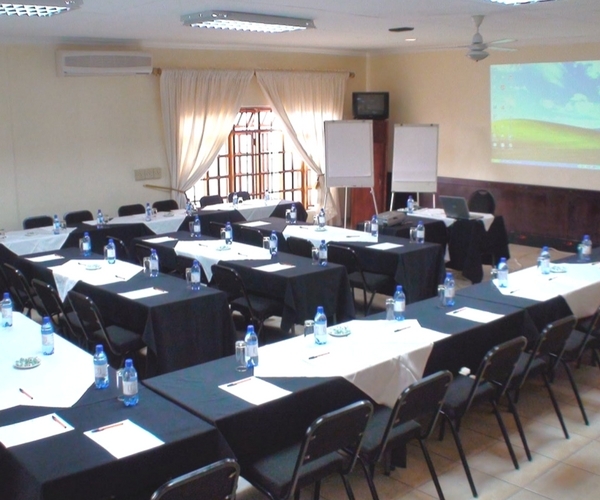 Polokwane Place is the perfect venue for hosting your next conference, meeting, function or exclusive event in Polokwane. Our air-conditioned conference room has Wi-Fi internet throughout and with its surface area of 80 square meters can accommodate a variety of seating arrangements for up to 112 delegates. Events include conferences, executive meetings, corporate breakaways, media launches, and special celebrations. Private breakfast, lunch or dinner meetings are also catered for. 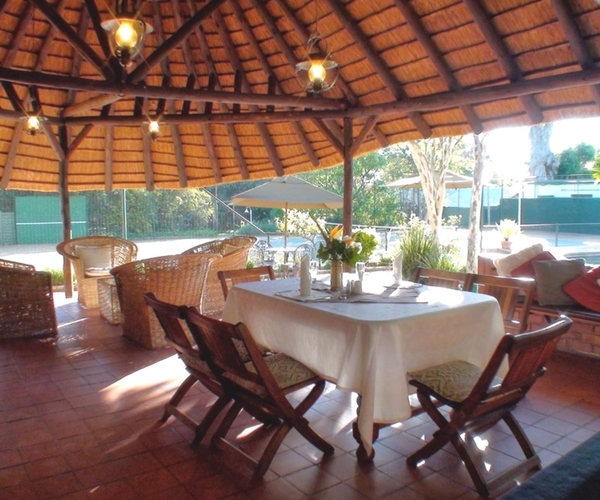 Meals are usually served either in the guest house dining room, under one of our verandas or at the lapa-lounge next to the pool. Our experienced team can deliver events ranging from fine dining to corporate launches or fabulous cocktail parties. Polokwane Place’s fully equipped conference room offers flexible lighting, fax/telephone points, an overhead data projector/proxima, white board, flip-charts and screens, a TV, video machine, DVD player, and at a nominal charge, secretarial services. And thanks to our 25 en-suite bedrooms, guests don’t need to look elsewhere for accommodation in Polokwane. Transfers to and from Polokwane’s Gateway International Airport can be arranged at short notice. Option 1: Light Snack & 1 x tea / coffee / snacks: R180 per person (or R130 at the Lapa). Option 2: Sandwich & 2 x tea / coffee / snacks: R200 per person (or R150 at the Lapa). Option 3: Light Lunch & 1 x tea / coffee / snacks: R245 per person (or R195 at the Lapa). Note: Per Person, inclusive of Venue Hire. Note: Extra tea / coffee: R15 per person per serving. Option 1: 1 lunch & 1 x tea / coffee / snacks: R245 per person. Option 2: 1 lunch & 2 x tea / coffee / snacks: R265 per person. Option 3: 1 lunch & 3 x tea / coffee / snacks: R285 per person. Lunch (chef’s menu) description: Lunch from the Chef’s Menu consists of a main meal + dessert. Main meal: a selection of meats (1 red meat + 1 white meat) with vegetables in season, along with potato wedges / pap / rice. Dessert: a selection of two desserts (hot or cold). Straight Venue Hire includes air-conditioning, mints, 1 bottle of water per delegate, cordials, flip charts, pens, paper, name badges and usage of our data projector/proxima. Wi-Fi internet available for an additional R500. Straight Venue Hire is also available upon request at a cost of R1,500 for less than 20 delegates, or R2,500 for 20 delegates or more. No food and beverage will be provided and no self-catering is permitted when making use of Straight Venue Hire. Guest house rates quoted are current rates and subject to change without any prior notice. Tip: Get 10% off when staying 2 nights or more at Polokwane Place on a Friday, Saturday and/or Sunday. Polokwane, formerly known as Pietersburg, means ‘The Place of Peace’. As the capital city of the Limpopo Province, it is in close proximity to the neighbouring countries of Botswana, Zimbabwe, Mozambique and Swaziland. The whole region is stocked with the very best of African wildlife at various private game reserves and lies within close proximity of the Kruger National Park and Magoebaskloof. Its climate, with temperatures averaging at 27ºC (80.6ºF) in summer and 20ºC (68ºF) in winter permits outdoor living all year round. Click here for more information regarding Polokwane and attractions in the Limpopo Province. Looking for affordable accommodation in Polokwane? Get in touch.